I hope y'all are having wonderful Thanksgiving weeks wherever you may be! I'm enjoying some time with my family in Virginia. I'm thankful that my husband has the week off from school and that I work from home so we can spend some extra time here! Since Thanksgiving is so late this year (Monday is December 1st! 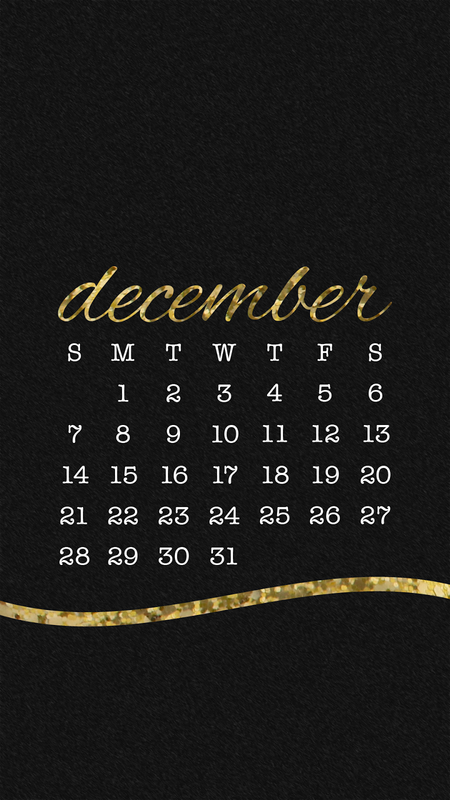 ), I wanted to share these December iPhone wallpapers before I go into a food coma for the rest of the week. I do have one more fun post to share with you tomorrow, but it'll be a quick one! 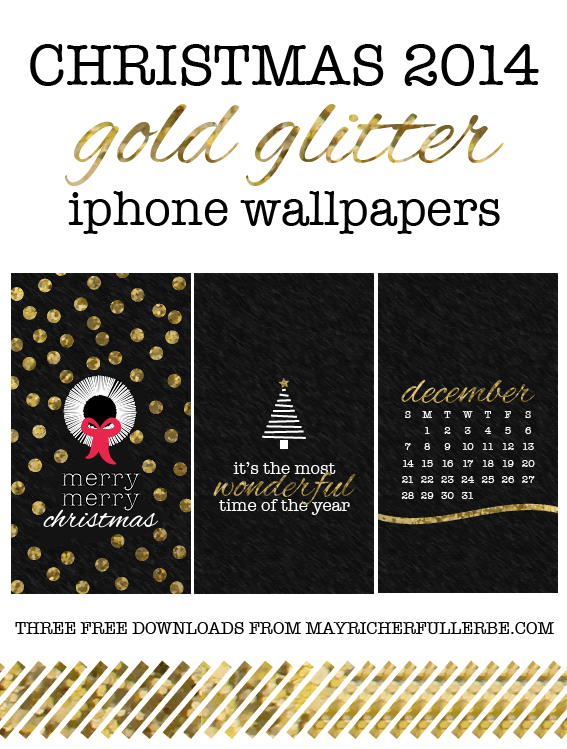 In case you didn't notice the trend from my 12 Days of Christmas ornaments, there was a lot of gold glitter going on, and I couldn't resist making that sparkly stuff the theme of this month's iPhone wallpapers. I made three this time - the traditional monthly calendar and two Christmas-specific ones. You can download one or all of them for free at the end of the post. 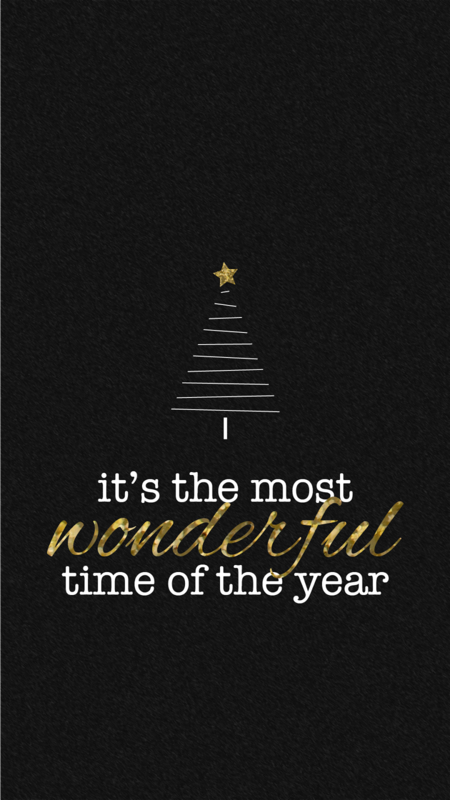 For some reason, I've had "It's the Most Wonderful Time of the Year" stuck in my head this week (I think I must've heard it on a commercial or something?) and it seemed fitting for one of these wallpapers. I added a little abstract Christmas tree with a gold star on top for fun :). Gold glittery dots were also a must for one of these - I couldn't resist! 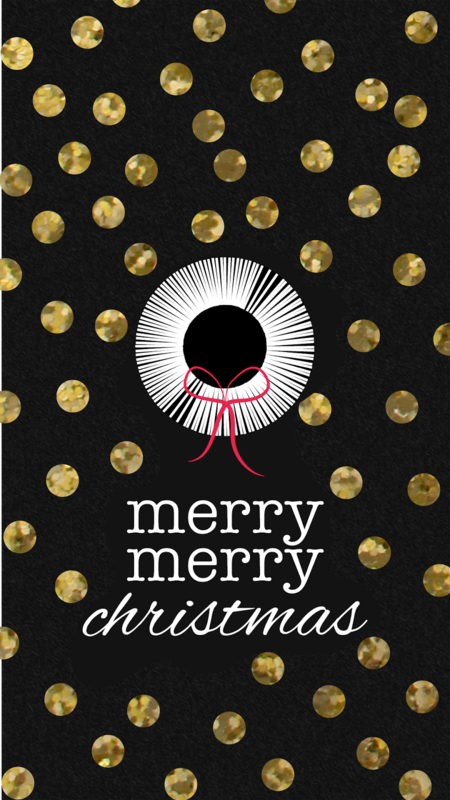 A wreath with "merry merry Christmas" below makes for quite a playful wallpaper if I do say so myself. Then of course there's the monthly calendar. I love all three of these wallpapers, but this is the one that may end up on my phone since it's so handy to have right there on the lock screen. Come and see how 1,000's of people like YOU are making a LIVING online and are living their wildest dreams TODAY.